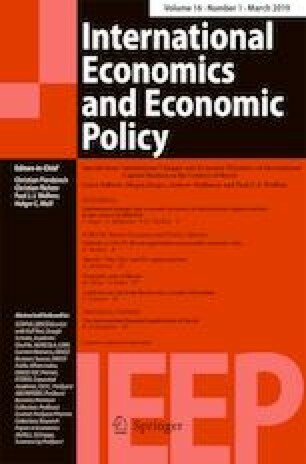 This paper analyzes the international monetary and financial implications of the UK's potential exit from the European Union, focusing on the impact on cross-border capital flows, on London's status as an international financial center, on the roles of sterling and the euro as international and reserve currencies, and on the roles of the UK and EU in the institutions of global governance (the International Monetary Fund, World Bank, Group of Seven, Group of Twenty, and Financial Stability Board. All such conclusions are necessarily speculative at this stage, but the implications are potentially farreaching. I thank Jon Cunliffe for inspiring me to write on this topic, the Bank of England for hosting me, the editor (Paul Welfens) for useful comments, and William Jungerman and Chris Liu for research assistance. The print media and blogosphere are chock-a-block with commentary on the implications of Brexit for trade – how outcomes ranging from continued full UK access to the Single Market to reliance on WTO rules will affect trade in goods and services between Britain, Europe and the rest of the world. Is the referendum part of a broader move away from regional arrangements such as the Single Market, which will shrink as a result of Brexit, in favor of bilateral trade agreements such as those the UK aspires to negotiate with the EU, the United States and other partners?1 Might the EU similarly respond by negotiating bilateral trade agreements with additional partners, along the lines of the EU-Japan free trade deal finalized at the end of 2017? While there has been much commentary on the possible implications of Brexit for international trade, there has been less discussion of the implications for capital flows and the structure and governance of international finance. Such limited discussion as has occurred has focused mainly on the implications for Britain’s ability to finance its current account, on the implications for bank-intermediated capital flows between Britain and the EU, and on the City’s position as an international financial center. Even less has been said about the implications for the institutions of global finance – the IMF and the World Bank, the G7 and the G20, and the Basel Committee on Banking Supervision and the Financial Stability Board – and for the international roles of sterling and the euro. This paper offers some thoughts on these issues. All such thoughts necessarily are speculative, since there is high uncertainty about how market, regulatory and political environments will develop post Brexit.2 But one must start somewhere. To envisage how global finance will change post Brexit, one must begin with scenarios for how the volume, direction and composition of international financial transactions will change. One then must add assumptions about the objectives and strategies of the UK government, its European interlocutors, and the rest of the world. Sections 2 and 3 start by reviewing the implications of Brexit for international capital flows and London’s status as an international financial center. Sections 4 through 7 next discuss, in order: key currencies and the international financial architecture; the IMF and World Bank; and finally the G7, the G20, the Basel Committee and the Financial Stability Board. Section 8 is then a brief conclusion. One analogous exercise for portfolio capital flows is Kalemi-Ozcan et al. (2010), who limit their analysis to bank-intermediated flows. Although they are centrally concerned with the impact of the adoption of the euro on the volume of flows, they include EU membership as a control in order to avoid conflating the impact of the two. One specification in their on-line appendix includes an indicator variable for when a pair of countries are both in the euro area (and therefore necessarily in the EU), and another for when both countries are in the EU but not the euro area. They find that bilateral bank flows are twice as large as otherwise when two countries are in the EU (but not also in the euro area). The counterfactual is that, following Brexit, inflows and outflows between the EU and the City will fall by half, other things equal. Another approach would follow Straathof et al. (2008) in analyzing foreign stocks rather than flows. Data on stocks are available from the IMF’s Consolidated Portfolio Investment Survey (CPIS), which defines portfolio investment as cross-border transactions and positions involving debt and equity securities, excluding direct foreign investment and foreign exchange reserves. Figures are available for the end of December of each year starting in 2001.7 A large cross-section of countries, both advanced and emerging, respond to the survey. The regressions in Table 1 pool these data. Taking the log of portfolio investment stock as the dependent variable, they report estimates of the standard gravity model, whose arguments include the (log) GDPs of origin and destination countries, their (log) populations, straight-line distance between their population centers, and whether countries have a common language, common dominant religion, and past colonial link.8 The key variables are whether or not the origin and destination countries are EU members and whether they are EU members that do not use the euro (it being important, as in Kalemi-Ozcan et al., to distinguish EU and euro area effects). Equations are estimated both with and without observations in which Luxembourg is an origin or destination country, Luxembourg being a disproportionately important third-country conduit for portfolio capital flows. The estimates in the first two columns include year fixed effects, while those in columns 3 and 4 include year, origin country and destination country fixed effects, and those in columns 5 and 6 include year and country-pair fixed effects. More than 90% of the euro-denominated interest rate swaps of euro area banks, three-quarters of all foreign exchange transactions, half of all bank lending, and half of all securities transactions in the EU occur in London (Couré 2017; Donnery 2017). Post Brexit, European regulators could take steps that upend this London-centric status quo. They could require the euro-related derivatives transactions of residents to be cleared not by the London Clearing House but in an EU financial center. Were UK and EU regulatory regimes not regarded as equivalent, the European Securities and Markets Authority (ESMA) would have grounds for prohibiting all the securities transactions of its residents, and not just all euro-based transactions of those residents, from being cleared in London.11 Absent a free trade deal that gave them UK passporting rights, UK banks would not be allowed to trade currencies and securities for European customers, whether in euros or other denominations, except through separately-capitalized local subsidiaries. Why might EU regulators insist that transactions involving EU residents be booked and cleared inside the area? There could be reluctance to grant passporting rights to British banks on political grounds if the UK government is not accepting the other obligations of the Single Market. There could be a reluctance to allow them to do business in the euro area, except as separately-capitalized subsidiaries, on financial stability grounds, in the absence of close supervisory cooperation between the Bank of England and the ECB. Similar considerations arise on the clearing side. Backstopping a clearinghouse for euro-denominated securities means ensuring that it has adequate euro liquidity under all circumstances. But the ECB may be reluctant to provide that liquidity if it and other European authorities lack regulatory oversight of the clearinghouse in question.13 In particular, regulatory harmonization may not be enough. More systematic monitoring and information sharing may also be required. And even then the ECB might be reluctant to provide unlimited liquidity to an extra-EU entity over which it has no legal authority. The question in this scenario is whether London will lose the transactions of euro-area-based entities only, or also euro-denominated transactions of extra-European entities. Would the entire market in euro-related transactions move to, say, Paris, or would it remain divided between London and Paris indefinitely? If agglomeration economies are pronounced, shifting a substantial fraction of euro-related transactions to Paris might tip the system from one increasing-returns equilibrium to another; the advantages to extra-European entities of also transacting where Europeans do their euro-based business would be overwhelming, and the entire market would migrate. The question then becomes how pronounced these agglomeration economies are and will be. Gehrig (1998) provides one answer. He shows that when local information is important, agglomeration effects will be tempered, and one should expect transactions to remain disbursed. He further distinguishes between standardized and bespoke securities, where the latter, with their special features, are more intensive in local information and therefore more likely to be traded in disbursed locations. Thinking about London’s prospects as a financial center post Brexit thus requires pondering changes in the extent of standardization. Advances in financial technology have enabled issuers and underwriters to devise a growing range of securities tailored to the needs of local issuers and investors.15 There is good reason to think that these changes in financial technology will persist. Recent reports that credit-default swaps and “bespoke tranches” are back (Rennison 2017), enabled by renewed technological development and the return of risk appetite, are consistent with this view. Assuming that this trend persists, clearing and settlement could occur in a substantial and perhaps growing number of different locations, with some such business migrating away from London but the balance remaining. On the other hand, regulators could insist on greater standardization in order to move additional settlement into clearinghouses (Bernanke 2011). By intent, this would lead to the even greater concentration of clearing and settlement in a handful of locations, perhaps London, but more likely not given the prospect of strict EU regulation of euro-based transactions. The EU’s Capital Markets Union project, which seeks to foster deeper integration of nonbank financial markets by harmonizing regulatory and other standards works in the same direction by again encouraging greater standardization of euro-denominated issuance. These last observations point to the possibility of major hit to the City as a result of Brexit. According to IMF data for 2018Q2, euros account for 20.2% of allocated global foreign exchange reserves, pounds sterling for 4.5%. How might these shares be affected by Brexit? Their coefficient on the country’s share of global GDP suggests that a reduction in a reserve-issuing country’s share of 1 percentage point is associated with a reduction of the share of its currency in global reserves of 0.2 percentage points in the first year and 3 percentage points in the long run. The UK’s share of global GDP was 3.5% in 2016, down from 6.5% in 1960.17 The trend has thus been for the UK share of global GDP to fall by 0.05% per annum, and therefore for sterling’s share in global foreign exchange reserves to therefore fall by 0.01% per annum via the operation of this channel. Consider now the UK Treasury estimate that UK growth will be 0.5% per annum slower as a result of Brexit.18 Per annum growth of 1.5 rather than 2% implies a slightly faster decline in the UK’s share of global GDP and in sterling’s share of global reserves. These effects are relatively small. To be sure, they could compound and cumulate over time, but the longer the time span one considers, the more speculative become the assumptions. Eichengreen and Mathieson (2000) relate the currency composition of international reserves to trade and financial linkages between the reserve holders and the reserve-currency-issuing countries. They find that the share of a country’s trade that occurs with a particular reserve-currency country and the share of its debt that is denominated in its currency both have a sizeable impact on the share of its reserves held in that currency. By their estimates, reducing the share of a country’s trade with the UK by 1 percentage point would reduce the share of that country’s reserves held in sterling by almost exactly one percentage point. Thus, the trade channel has the potential to exert a larger impact on the demand for sterling reserves. Similarly, reducing the share of a country’s foreign debt denominated in sterling by one percent reduces its holdings of sterling reserves by somewhat more than 1 %. If British trade falls post Brexit, because the UK is unable to negotiate free-trade agreements with the EU and the EU’s free-trade partners or for other reasons, and if issuers migrate away from sterling as a currency in which to denominate their debt, sterling’s role as a reserve currency could decline further. A provisional conclusion, then, is that Brexit is likely to have a negative impact on sterling’s role as an international and reserve currency insofar as it leads to slower growth, less British trade and, in the extreme, less defense and foreign policy cooperation. But these effects are likely to be relatively small and take considerable time to materialize. Similarly, it is not clear that Brexit will have first-order implications for the international role of the euro. Brexit does not have immediate implications for the size of the euro area or for its trade and foreign investment flows. Since investment and trade with the UK are much less important for the euro area than vice versa, powerful implications for the euro area’s rate of economic growth are unlikely. Presumably euro-area trade and investment flows will be partly redirected from the UK to the rest of the world, much as UK trade and investment flows will be partly redirected from the euro area to the rest of the world. The Eichengreen-Mathieson analysis suggests that this will induce the UK to substitute other currencies for some portion of its euro reserves. HM Treasury (2017) reports that the unhedged non-gold reserves of the UK Exchange Equalisation Account (EEA) are 40% in dollars, 40% in euros, and 20% in Japanese yen. The EEA’s euro holdings thus come to some $40 billion (40% of assets net of gold and the UK’s SDR position at the IMF), or 2.3% of identified euro-denominated reserves. Since only a fraction of this UK investment will be reallocated, the impact on the euro reserves held by the UK will be small. It will be offset in part by increased euro-denominated reserves held by other countries engaging in additional trade with and receiving additional investment from the euro area, following the preceding logic. Another way of asking the question is; will Brexit make it easier for the euro area and the EU to undertake reforms that promise to render the euro a more attractive international currency? An attractive international currency has three attributes: size, stability and liquidity (Eichengreen et al. 2017b). One can imagine reforms that enhance the stability of the euro area and thus the attractions of its currency to foreign governments and central banks: these might include, in the limit, banking union, fiscal union and political union. These reforms may be at least marginally easier to undertake in the absence of the UK, which has not been a supporter of “ever deeper integration.” But the obstacles to deeper integration are not just the UK but also disagreements between other member states over its structure and even its desirability. Brexit will not change this. On the other hand, there were worries in 2016 that Brexit would unleash a cascade of exits from the EU, undermining confidence in and the stability of the latter. This scenario has not come to pass. If anything, the difficulty of Britain’s exit negotiations serves as a deterrent. Insofar as this has reduced rather than amplifying worries about the integrity and stability of the euro area, it may have modestly enhanced the euro’s attractions as an international currency. The implications of Capital Markets Union are more difficult to forecast. The integration of formerly segmented national markets and greater standardization of issuance should be positives for liquidity. But the liquidity of markets in euro-denominated assets in London will be less insofar as the availability of euro-denominated credit from the ECB post Brexit, for reasons described above. Regulations requiring EU-based entities to clear and settle euro-denominated transactions in the EU may also have negative implications. Fragmentation of clearing between London and an onshore market such as Paris will increase margining and capital costs (Rolet 2017). In the long run, a large, integrated, standardized onshore market in euro-denominated assets with an unlimited backstop might become more liquid than existing markets in euro-denominated markets, but the long run can be a long time coming. A single EU seat would make for a large and awkward constituency. Note, however, that the two existing African constituencies both have 23 members, although they account for only 2.97 and 1.62% of voting power in the Fund. Euro area members collectively have a voting share of 23%, exceeding that of the United States, enabling their single director, were one to exist, to block changes in policy that require an 85% supermajority. Still another scenario would be not one but two constituencies made up of euro area members, perhaps taking over the seats currently occupied by France and Germany. Yet another possibility is one constituency for euro area members and another for other EU member states. For this to happen it would be necessary to amend the Articles of Agreement, which specify single seats for the nations with the five largest voting shares. Currently the appointment of executive directors by the members with the five largest quotas is an obligation, not an option (Hagan 2009). Another possible amendment would permit the IMF to recognize the euro area as a country, in which case it would acquire a single executive director by virtue of its size. This might only become feasible if and when monetary union is complemented by banking, fiscal and political union, or at least when significant fiscal and political prerogatives had been ceded by the participating member states to EU or, more precisely, to euro-area institutions – which is to say not anytime soon. If Germany and France are reluctant to give up their single seats, the other 17 members of the euro area could conceivably reorganize themselves into a single constituency. But this would signal the existence of a kind of two-tier Eurozone, in which France and Germany had special status. Hence the status quo is apt to persist. EU and euro area members will remain spread across different constituencies, requiring them to coordinate their positions insofar as possible. Here Brexit may make a difference. Presently, a subcommittee of the Economic and Financial Committee created by the EU Treaty meets sporadically in Brussels to consider IMF-related matters. SCIMF, as this grouping is known, includes representatives of the member states and EU institutions. The UK has not infrequently been a European outlier on IMF-relevant economic and financial questions, such as the terms on which assistance should be extended to the Greek government. Articulating a common SCIMF position will presumably be easier post Brexit. And there is no comparable subcommittee on IMF matters for euro-area countries. Establishing one might be marginally easier when there is no resistance from the United Kingdom. One or a pair of seats on the World Bank board would enable the EU to speak more forcefully in favor of World Bank aid for countries that are its development priorities – for example states on the front lines of Europe’s refugee problem. German leaders have made the case for a “Marshall Plan” for Africa.24 A stronger and more coherent EU voice in the World Bank could allow Germany and its EU partners to leverage this initiative with World Bank funds. But a single EU seat or a pair of seats would be harder to agree if one EU member, the UK, retained its sole and exclusive representation. As in the case of the IMF, Brexit could make this reorganization of EU representation marginally easier. At the G7 leaders’ level, the EU is represented by the President of the Council and President of the Commission. Since the UK is represented separately, Brexit implies little change. It may be slightly easier for the President of the Council and President of the Commission to forcefully advance a common European view, insofar as the UK is generally more cautious regarding economic and financial intervention and espouses a more assertive foreign policy stance. At the level of G7 finance ministers and central bank governors, the EU is represented by the Commission, the euro area by not just by the Commission but also by the President of the Eurogroup and the ECB. Post-Brexit, the Commission may find it somewhat easier to advance a common euro area position along with the Eurogroup president and the ECB, although the Commission’s positions will still be tempered by the fact that it speaks for EU countries that are not members of the euro area but also have a stake in G7-related matters. In the G20, the President of the Council and the President of the Commission represent European countries at the level of heads of state, while the Commission and ECB represent them in meetings of finance ministers and central bank governors. Again, Brexit may make it slightly easier for the Presidents of the Council, the Commission and the ECB to advance common euro area positions. The Basel Committee and the Financial Stability Board will have to address the danger of excessive regulatory competition if London and rival euro-area financial centers compete more intensely for banking business. City firms losing passporting rights or otherwise finding it more difficult to do business in the EU will be tempted to relocate to Dublin or the European Continent, and British regulators may be tempted to loosen standards to discourage them from doing so. These are precisely the dangers that the Basel Committee is supposed to limit. Its ability will likely be tested. Brexit will also complicate G20/Financial Stability Board efforts to move the clearing and settlement of standardized derivatives contracts into central clearinghouses. The lever for making this happen is higher capital and margining requirements for non-centrally cleared bilateral contracts (Rolet 2017). Imagine that the EU requires EU-based entities to clear their derivatives transactions in the EU rather than through the LCH. Transactions may then be bifurcated between an onshore EU clearinghouse and the LCH, where some if not all of the euro-denominated securities of non-EU entities will still be cleared.27 This business cannot be forced back to the Continent by EU regulation. But if clearing is bifurcated between two financial centers, economies of scale and scope could be lost. If one center ends up clearing mainly transactions in some currencies, while the other clears transactions in another subset of currencies, netting will be more limited, diversification benefits will be lost, and additional margining requirements will apply. Conceivably, margining requirements at the two clearinghouses will be higher than under purely bilateral clearing, stymying the G20/FSB effort to move transactions into clearinghouses (Barnes 2017). Working with the relevant national and EU officials, the FSB can avoid this by further raising initial margining requirements on bilateral clearing or by further reducing them on clearinghouse transactions. But the former would increase the costs of doing business, creating losses for investors, while the latter would raise financial-stability concerns. These problems could also be averted, as described in Section 3, by giving the EU supervisory authority over the LCH, or by taking other measures that make the ECB comfortable with extending an unlimited euro swap line to the Bank England, which would then be in a position to ensure the liquidity of the LCH’s euro-denominated lines of business. But, as also described in Section 3, these “solutions” would face formidable political obstacles. As with all things Brexit, the devil is in the details. London’s future as an international financial center, for example, will depend on the passporting rights, if any, obtained by UK banks. They will depend on whether the European authorities require euro-denominated derivatives clearing by EU residents to take place in the euro area, in which case at least some London-based business will necessarily move to an EU financial center. The outcome will depend also on whether changes in the information environment, financial technology and regulation, including regulatory changes associated with Capital Markets Union, lead to the further standardization of financial products, creating a tendency for transactions to concentrate in a single financial center, on the European Continent assuming the aforementioned changes in EU regulation, or whether product differentiation will support the persistence of several financial centers, allowing London to hold onto some euro-related business (at least some of that involving transactions between extra-EU entities). If British growth suffers as a result of Brexit, sterling’s role as an international currency will be diminished, but to what extent remains to be seen. If the country’s foreign trade and investment, with the EU and generally, fall significantly as a result, that role will be diminished further. If euro-area countries conclude that sluggish growth, resulting from problems created by the single currency, was a factor in the British decision and fear that other countries could respond similarly, then they may feel compelled to push ahead in the direction of Capital Markets Union, fiscal union and – who knows – political union, fixing the flaws of their Single Currency and rendering it more attractive for use in international transactions. That said, the implications for growth are uncertain. Post-Brexit trade and investment regimes are yet to be determined. Disagreements among euro-area member states continue limit the scope for reform. History shows that international currency status is persistent, which does not point in the direction of rapid change. While Brexit does not imply much change in the role of the UK in the Bretton Woods institutions, the G7 and G20, or the Basel Committee and Financial Stability Board, it creates an opportunity for EU and euro-area countries to consolidate their representation and speak more forcefully, with one voice. We are about to find out whether they are prepared to capitalize on the opportunity. And as negotiated by those partners with one another. One can argue that the preference of the Trump Administration for bilateral negotiations and agreements points strongly in this direction; witness recent U.S. bilaterals with South Korea and Japan. That uncertainty is presumably why no one has been reckless enough to undertake this exercise before, with the partial exception of Sampson (2017). If this same history runs in reverse, then Brexit will reduce inward FDI from other OECD countries by up to 22% (28/(100 + 28)). Their study has the advantage of encompassing years both before and after the advent of the Single Market, enabling them to pursue a quasi-difference-in-differences approach. Coeurdacier et al. (2009) focus on mergers and acquisitions, a specific forms of FDI (as distinct from greenfield investment) and similarly find a large and significant effect of EU membership. Welfens and Baier (2018) offer a dissenting view. Considering both EU and European Economic Area effects, they argue that the observed FDI differential is in fact an EEA and not an EU effect. The authors also find an impact of bilateral trade on the volume of bilateral bank flows, but the effect is small. And expressed in millions of U.S. dollars Since 2013 the survey has been conducted twice a year, in June and December, but for consistency only the December surveys are utilized in what follows. Following previous literature, the common language dummy equals one when a language is spoken by at least 9% of the population in both countries. The common currency variable equals one when 2 countries that are not EU members share a currency. In contrast, a euro-area destination will receive 53 to 71% more inward portfolio investment than an otherwise comparable country. The coefficients on the control variables enter with their expected signs and are well defined (colonial heritage, common language, common religion, common currency, origin-country GDP and destination-country GDP all affect portfolio investment stocks positively, while origin country population affects it negatively, due to its association with lower per capita GDP; the only anomaly is the inconsistent sign of destination-country population. Note, for comparison, that the estimated impact on outward portfolio investment stocks is larger, on the order of 29%, almost exactly the same number found in earlier studies of FDI. They could also be cleared in a third-country clearinghouse recognized by ESMA. In some cases, such as swaps involving the Hungarian forint and the Czech koruna, this creates the interesting possibility that transactions will be cleared not in the EU, where the relevant facilities are lacking, but in the U.S. by CME Clearing, which is recognized by ESMA. RepoClear, the Paris-based branch of the London Clearinghouse, already clears bond sales, purchases and repurchases inside the Euro Area, and it is also clearing a growing volume of bond and repo-related transactions. LCH’s Paris unit already has access to the Target2 Securities Settlement Platform, enabling it to net securities transactions between traders with accounts at different national central securities depositories and cash accounts at different euro area central banks, a convenience not available to the LCH’s UK unit. According to Brummer (2015), p.307), EU clearinghouses receive no explicit or guaranteed ECB backstop, whereas Dodd-Frank authorizes US clearinghouses to receive liquidity support from the Fed in “unusual or exigent circumstances.” But this doesn’t rule out the possibility, or importance, of implicit guarantees. These problems could also be surmounted were the ECB to make an unlimited currency-swap arrangement with the Bank of England. In which case the issue of governing law and legal jurisdiction could be circumvented. But such an agreement would expose the ECB to the exchange risk that comes with a major clearinghouse crisis, which makes an unlimited swap arrangement unlikely. This tendency was made abundantly clear by the run-up to the global financial crisis (see e.g. Tett 2009). Griliches’ method is used to instrument the lagged dependent variable, reducing the risk that it is picking up serially correlated omitted influences. In robustness checks the model is extended to include a list of additional explanatory variables, without noticeably affecting the coefficient on the lagged dependent variable. This is according to the IMF. Shares are calculated at market exchange rates, these being what are appropriate for international financial comparisons. This assumes reversion to WTO trading rules. More precisely, Treasury estimates that UK GDP will be 7.5% lower than otherwise after 14 years. Others have criticized this estimate of the growth slowdown as exaggerated. The data are for the period before 1914, when the currency composition of foreign exchange reserves is known. An advantage is that this was a period of proliferating military alliances, introducing variation to the data. A disadvantage is that this period in the relatively distant past may not be informative for the twenty-first century. The current presumption, however, is that such a breakdown remains unlikely. On the other hand, both Donald Trump and Jeremy Corbyn are NATO skeptics, and a weaker NATO might impel the EU toward tighter security cooperation on its own, leaving the UK on the outside (see Bush 2017). Given that the euro area has a single currency and in that sense a single exchange rate, whereas the EU does not, and that IMF deals with currency and exchange rate issues, it can be argued that the second option makes more sense. That said, other IMF-relevant issues such as regulation of capital flows are EU rather than euro area competencies. Banking union, which is relevant insofar as the IMF is concerned with financial stability, is a hybrid: participation is obligatory for euro-area members, but other EU member states can and have opted in. An additional difficult, which will remain, is that the presidency of the EURIMF rotates only every two years, unlike the presidency of the European Union which rotates every six months. The euro area currently lacks observer status in the IMF Executive Board, which European Commission (2015) proposes to correct. Nonetheless, this change remains unlikely, since other member states resist the proposal as well. The proposal to move to QMV, advocated by Commission President Jean-Claude Juncker, is opposed by Ireland in particular. This could be a good thing or a bad thing, depending on one’s priors. Currently three-quarters of euro interest-rate swaps cleared through LCH are between counterparties neither of which is a resident of the euro area and one of which is generally a resident of the UK.